Former captain Bishan Singh Bedi, on Monday, called Mahendra Singh Dhoni 'half a captain' of India's limited overs team and said his absence made skipper Virat Kohli 'visibly rough' on the field during the fourth ODI against Australia. 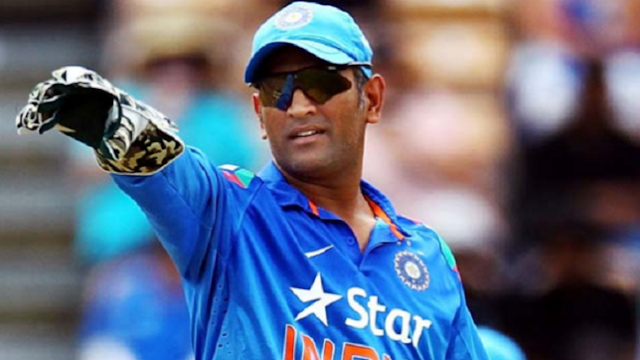 Dhoni has been rested for the last two games of the series which is tied at 2-2, going into the decider, in New Delhi, on Wednesday. "I am nobody to comment but we all are wondering that why Dhoni is being rested and his absence was felt yesterday, behind the stumps, with the bat and on field also. He is almost half a captain," Bedi said at a reception organised by the Australian High Commission for its cricket team. "I would personally like them to live in the present. World Cup is still two and a half months away. Just play the game. For World Cup, we have been experimenting in the last one year and I am not happy with that at all," he said, adding, that the Indian Premier League, beginning March 23, can pose serious problems for the team ahead of the mega event. "Anyone of them can get injured during the IPL. You can't expect them to not give 100 percent while playing for their respective franchisees." Wrist spinners are the flavour of the season with Kuldeep Yadav and Yuzvendra Chahal leading the pack at the moment. Bedi hoped the team management has adopted the right approach by sidelining finger spinners like Ravichandran Ashwin and Ravindra Jadeja though the latter remains part of the ODI team. "I hope they are right about wrist spinners but I cannot figure if there is a better all-rounder than Jadeja. What is the need to undermine him?" he asked. Risabh Pant, who played his fourth ODI in Mohali, on Sunday and first in the ongoing series against Australia, was sloppy behind the stumps. Bedi questioned the need for resting Dhoni and giving Pant an opportunity with the series very much alive. "Pant is a wild horse. Somebody has to tame him. Who is going to do that? The support staff should be able to do that. He is making the same mistakes again and again and behind stumps, too, he has a lot of work to do, honestly. Your chairman of selection committee (MSK Prasad) is a wicketkeeper, you talk to him at least," said Bedi. Talking about the areas of improvement in the current ODI team, he added: "Cricket sense must improve. Cricket ability and cricket sense are two different things. You have tonnes of ability but without sense there is not much you can do. Yesterday, it was such a good start from India yet they were struggling to last 50 overs while Australia finished with more than two overs to spare."